With so many components at play, it is hard to get an exact picture of application costs at your business. Total Cost of Ownership (TCO) goes beyond comparing standalone infrastructure costs and looks at the cost of service and support over a solution's useful life. A comprehensive TCO analysis must include 3 major types of costs: Capital expenses, On-premises hardware & software-Operating expenses, Services, support & maintenance fees to keep the equipment running and Indirect costs: Potential downtime and time-to-market delays. Application Hosting at Visualnet can help your business succeed with a fixed cost and support for your users that you can depend on. Traditionally, businesses have had to build and maintain infrastructure to run on-premises applications. 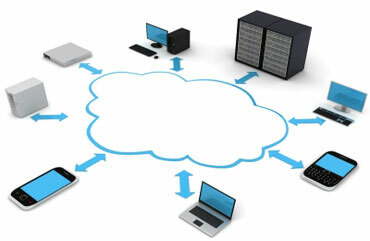 With the Software-as-a-Service (SaaS) model, businesses can consume applications that are hosted online on Visualnet Servers, enabling them to lower their costs by paying only for what they use, enjoy seamless and painless upgrades in functionality, and integrate easily with their existing data and systems. 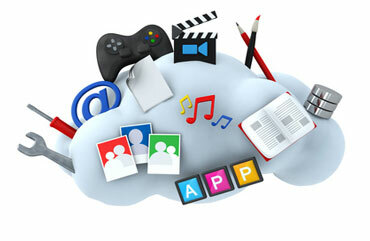 Businesses can seamlessly transition the applications they use everyday to the cloud. No bottlenecks or extensive code adjustments need apply. 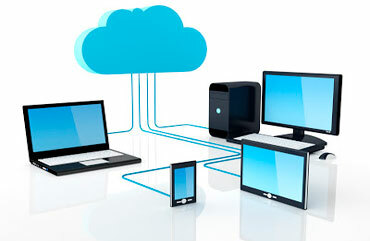 With a reliable Internet connection, all users can access data on the cloud. 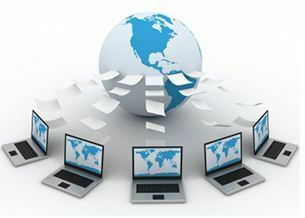 Users can work from anywhere in the world with an Internet connection, enabling collaboration across both local and global offices and boosting productivity. Because all data is hosted on the web, issues can be resolved quickly and with minimal impact on operations. Why Choose Visualnet Application Hosting? We have found that it often makes more business sense to outsource your key applications onto Visualnet Hosted Servers as in most cases we can support your users and equipment resources more efficiently. Visualnet can serve as outsourced IT administrators and networking engineers, customize workloads for optimal performance, perform ongoing support and manage or co-manage the infrastructure at our facility. Leveraging our Application Hosted Managed Services also allows your company to free up your staff to work on more strategic, revenue-generating projects instead of focusing on operating infrastructure. The convenience and ease of use of our Hosted Application Services can help many businesses better streamline and coordinate operations. Whether you're a small company or multinational conglomerate, we can get your key apps running in the cloud.